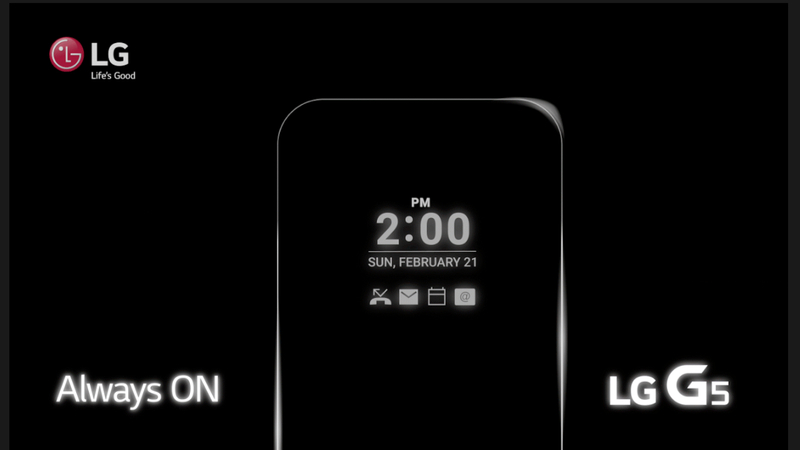 Just a few days ago, the LG G5 release on February 21 had been confirmed by a teaser shared by the official Facebook page of the Korean company. And now, details about the release are surfacing throughout the internet. In this article, you will find the release details and features of the upcoming smartphone. However, the most significant thing revealed by the teaser is the “Always-On Display.” Though the details are yet to be revealed, the particular display is expected to remain always on in a low power state. It will not only show missed calls and messages but also provides you with the easy access to different basic apps, including camera, in the particular state. It has added a new dimension to the excitement of the LG G5 release. However, it is not the first time that the feature has been used in a device. Earlier, the Motorola Moto X and Google Nexus lineup had been equipped with a similar option. We will post more article covering the LG G5 release details. So, do not forget to check our website regularly.